Should power lines go underground? UF’s director of energy studies observes that installing power lines underground to prevent outages during hurricanes may not be the magic bullet many are seeking. It is the height of a highly destructive hurricane season in the United States. The devastation of Harvey in Texas and Louisiana caused nearly 300,000 customers to lose electricity service, and Hurricane Irma has cut service to millions of people. Soon, winter storms will bring wind and snow to much of the country. Anxious people everywhere worry about the impact these storms might have on their safety, comfort and convenience. Will they disrupt my commute to work? My children’s ride to school? My electricity service? When it comes to electricity, people turn their attention to the power lines overhead and wonder if their electricity service might be more secure if those lines were buried underground. But having studied this question for utilities and regulators, I can say the answer is not that straightforward. Burying power lines, also called undergrounding, is expensive, requires the involvement of many stakeholders and might not solve the problem at all. Where should ratepayer money go? Electric utilities do not provide service for free, as everyone who opens their utility bill every month can attest. All of the costs of providing service are ultimately paid by the utility’s customers, so it is critical that every dollar spent on that service provides good value for those customers. Utility regulators in every state have the responsibility to ensure that utilities provide safe and reliable service at just and reasonable rates. But what are customers willing to pay for ensuring reliability and mitigating risk? That’s complicated. Consider consumer choices in automobile insurance. Some consumers choose maximum insurance coverage through a zero deductible. Others blanch at the higher premiums zero deductibles bring and choose a higher deductible at lower premium cost. To provide insurance for electricity service, regulators and utilities must aggregate the preferences of individual customers into a single standard for the grid. It’s a difficult task that requires a collaborative effort. The state of Florida’s reaction in the wake of the 2004-2005 hurricane seasons provides a model for this type of cooperative effort. Utilities, regulators and government officials meet every year to address the efficacy of Florida’s storm hardening efforts and discuss how these efforts should evolve, including the selective undergrounding of power lines. This collaborative effort has resulted in the refinement of utility “vegetation management practices” – selective pruning of trees and bushes to avoid contact with power lines and transformers – in the state as well as a simulation model to assess the economic costs and benefits of undergrounding power lines. Nationally, roughly 25 percent of new distribution and transmission lines are built underground, according to a 2012 industry study. Some European countries, including the Netherlands and Germany, have made significant commitments to undergrounding. Burying power lines costs roughly US$1 million per mile, but the geography or population density of the service area can halve this cost or triple it. In the wake of a statewide ice storm in December 2002, the North Carolina Utilities Commission and the electric utilities explored the feasibility of burying the state’s distribution lines underground and concluded that the project would take 25 years to complete and increase electricity rates by 125 percent. The project was never begun, as the price increase was not seen as reasonable for consumers. A 2010 engineering study for the Public Service Commission on undergrounding a portion of the electricity system in the District of Columbia found that costs increased rapidly as utilities try to underground more of their service territory. The study concluded that a strategic $1.1 billion (in 2006 dollars) investment would improve the reliability for 65 percent of the customers in the utility’s service territory, but an additional $4.7 billion would be required to improve service for the remaining 35 percent of customers in outlying areas. So, over 80 percent of the costs for the project would be required to benefit a little more than one third of the customers. The Mayor’s Power Line Undergrounding Task Force ultimately recommended a $1 billion hardening project that would increase customer bills by 3.23 percent on average after seven years. In addition to the capital cost, undergrounding may make routine maintenance of the system more difficult, and thus more expensive, because of reduced accessibility to power lines. This may also make it more difficult to repair the system when outages do occur, prolonging the duration of each outage. Utility regulators and distribution utilities must weigh this cost against the costs of repairing and maintaining the electricity system in its overhead state. Electricity service is valuable. A 2009 study from the Lawrence Berkeley National Laboratory estimated an economic cost of $10.60 for an eight-hour interruption in electricity service to the average residential customer. For an average small commercial or industrial customer the cost grew to $5,195, and to almost $70,000 for an average medium to large commercial or industrial customer. The economic benefits of storm hardening, therefore, are significant. Beyond the economic value of undergrounding, one could consider other benefits, such as aesthetic ones, which may be more difficult to quantify. But all costs and benefits must be considered to ensure value for the customer’s investment. In terms of reliability, it is not correct to say that burying power lines protects them from storm damage. It simply shifts the risk of damage from one type of storm effect to another. For example, it is true that undergrounding can mitigate damage from wind events such as flying debris, falling trees and limbs, and collected ice and snow. 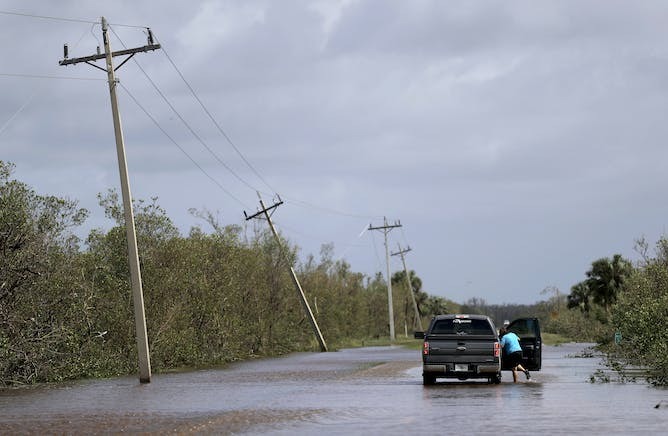 But alternatives, such as proper vegetation management practices, replacing wood poles with steel, concrete or composite ones, or reinforcing utility poles with guy wires, may be nearly as effective in mitigating storm damage and may cost less. 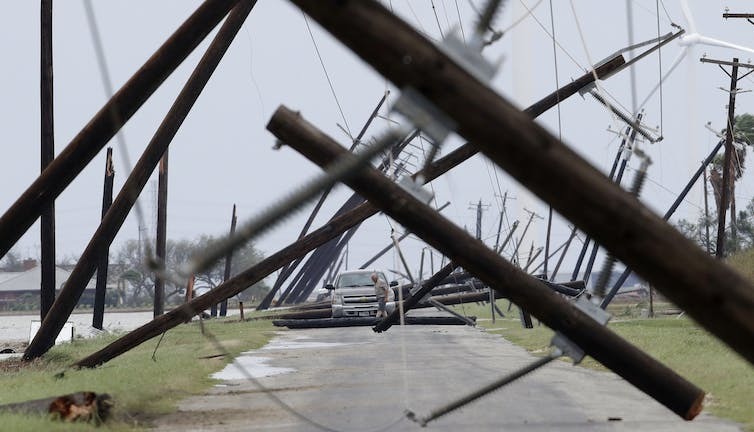 Also, undergrounding power lines may make them more susceptible to damage from corrosive storm surge and flooding from rainfall or melting ice and snow. Areas with greater vulnerability to storm surge and flooding will confront systems that are less reliable (and at greater cost) as a result of undergrounding. So, the relocation of some power lines underground may provide a cost-effective strategy to mitigate the risk of damage to elements of a utility’s infrastructure. But these cases should be evaluated individually by the local distribution utility and its regulator. Otherwise consumers will end up spending more for their electricity service, and getting less.